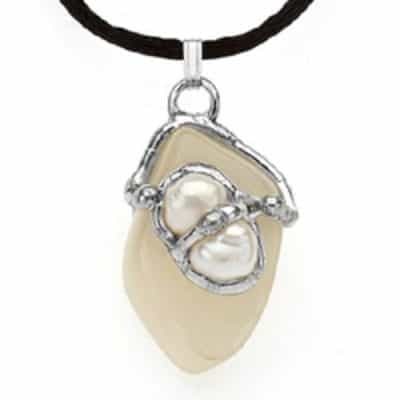 The weight loss transformer is a pendant used to create awareness. 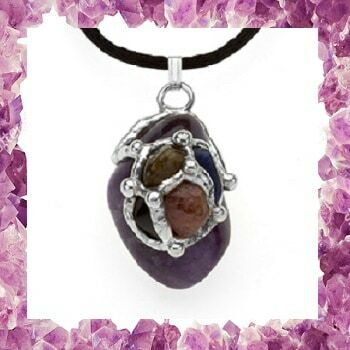 These stones are most noted for detoxing, fighting addiction and helping you to stay on course! 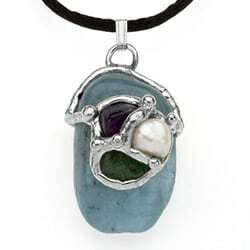 This pendant contains sodalite, which regulates metabolism and helps the digestive system. Sodalite is a wonderful assistant in weight loss. 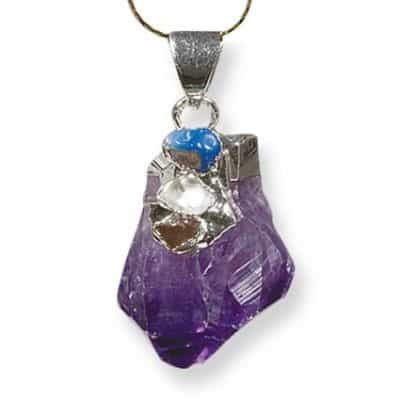 Amethyst helps in healing addictions of food and all other substance. Obsidian reduces cravings and shielding us from negativity Tourmaline facilitates weight loss gets energy flowing. Transformers are approximately 3/4 to 1 inch in diameter. 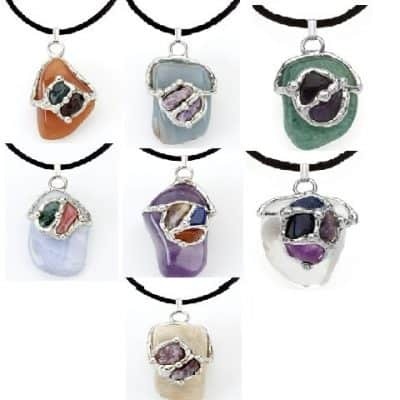 All transformers come with the healing and metaphysical information about your stone and how to work with, use and cleanse your pendant. It also comes with an organza pouch for storage and a 22″ long black cord. ***Metaphysical and crystal information is for personal educational, spiritual, inspirational, and entertainment purposes only.